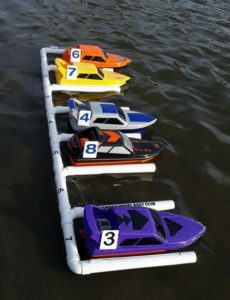 Club 500 – is a new fast electric class the club introduced in 2019 mainly aimed at those who don’t want a boat that’s a little too fast! 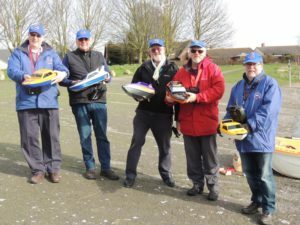 The boats used must be the Model Slipway Club 500 which is a long established class used by many clubs in the UK. These boats are currently ONLY raced on Wednesday afternoons. Club Class – introduced in 2016 this class is limited to RTR (Ready to Run) “out of the box” boats a max. of 500mm long and cost no more than £125. Don’t be fool by the small size and price – they are very quick! 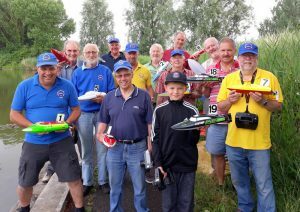 We race this class on Wednesday evenings in the summer and Sunday afternoons in the winter. 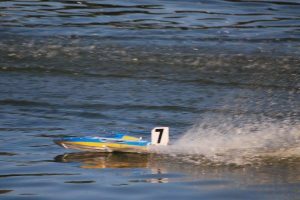 Mini Hydro – this class is for those who want a completely “home built” racing boat. 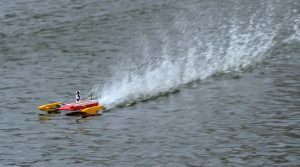 It is for Hydroplane hulls only, limited to 500mm long with a max spend of £100. They are very quick, tricky to drive but great fun! 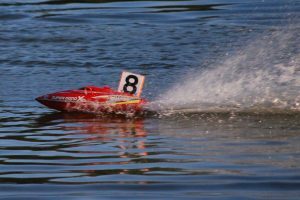 They are raced ONLY on Sunday afternoons in the Winter Series and are only suitable for those with plenty of experience in racing boats. See the Fast Electric Rules page for more details on each class. 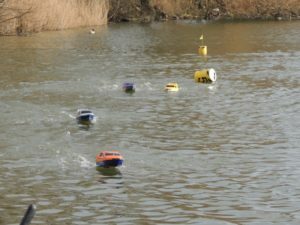 To get a feel for the speed of these boats see the clubs group Facebook page and search “fast electric” or “Club 500” to see the videos. Please check before buying anything as we can offer free impartial advice on what is best suited for you.